The Arabidopsis thaliana bZIP60 (AtbZIP60) transcription factor regulates stress signaling. However, its involvement in plant salt tolerance is not fully understood. In this investigation, cell suspension cultures of three different plant species: tobacco (Nicotiana tabacum), rice (Oryza sativa L.), and slash pine (Pinus elliottii Engelm.) were transformed via Agrobacterium tumefaciens LBA4404 harboring pBI-AtbZIP60deltaC. Integration of AtbZIP60deltaC into the genome of tobacco, rice, or slash pine has been confirmed by polymerase chain reaction, Southern blotting, and Northern blotting analyses. Six transgenic cell lines from each of three species were used to analyze the salt tolerance conferred by the overexpression of AtbZIP60deltaC. Our results demonstrated that expression of AtbZIP60deltaC enhanced salt tolerance of transgenic cells in all transgenic lines and that improved salt tolerance was associated with increased activities of both ascorbate peroxidase and superoxide dismutase, and decreased lipid peroxidation (thiobarbituric acid reactive substances). 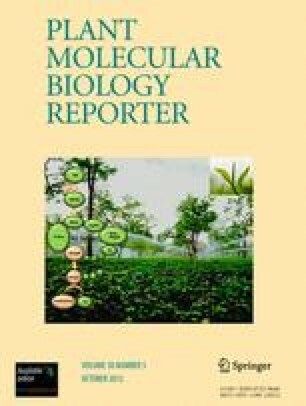 This investigation has demonstrated that the expression of AtbZIP60deltaC gene in transgenic cell lines attenuated salt-induced oxidative damage by increasing the activities of antioxidant enzymes and the overexpression of AtbZIP60deltaC gene could be an alternative choice for engineering plant salt tolerance.